Don’t worry, this is not going to turn into a knitting blog, but I am so excited to show off my humble first project. 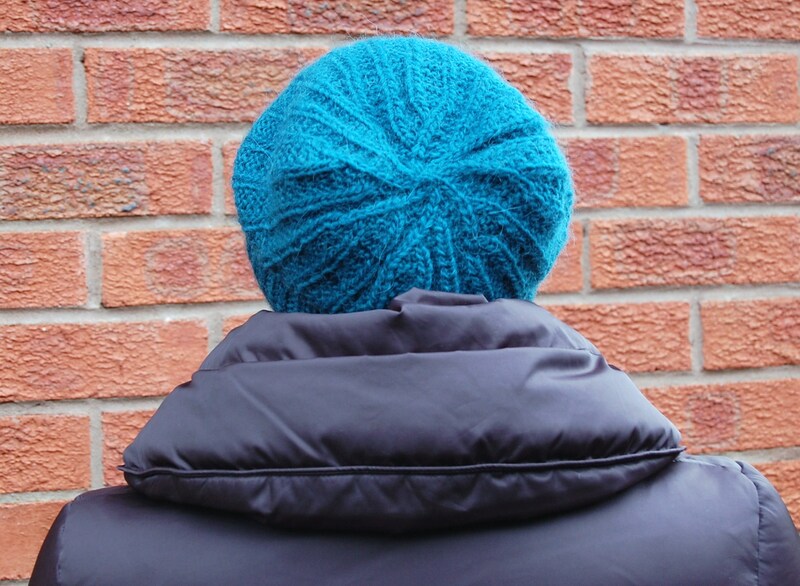 This is the easy beanie by Andi Satterlund – a free pattern from Ravelry which is knitted, bottom up, using seamless construction. Wow, I learned so much on this project; how to use the long tail method to cast on, how to join in the round, how to knit on circular needles and how to block my work at the end. Want to see the finished item on me? 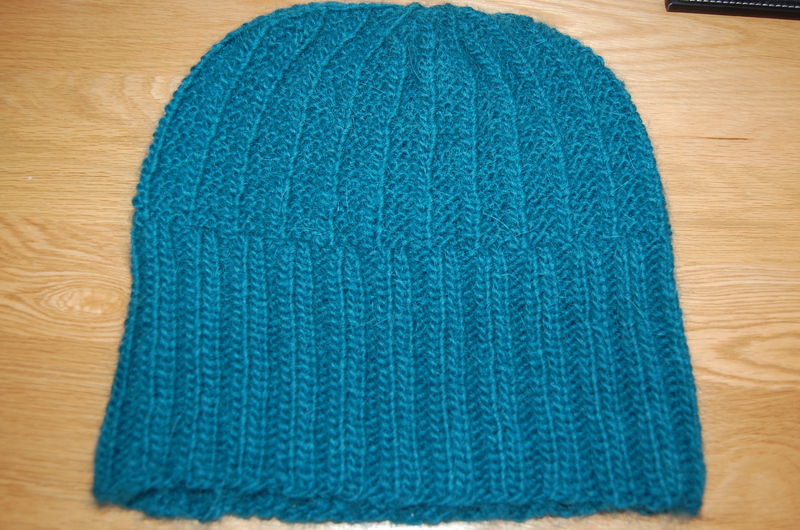 I used a teal Creative Focus Worsted yarn by Rowan, which is 75% wool, 25% alpaca. This yarn is soft, light and warm. It took me a couple of weeks to knit on and off. I wore it on the morning school walk today and it was perfect. I am just thrilled and I hope I can progress on to knitting a cardigan or sweater sometime. BTW, did you know that knitting is the second most popular craft based hobby, after cake making? I can well believe it. Knitting is a portable, do-anywhere-craft and there is nothing so satisfying as taking a ball of wool and feeling it grow into something practical in your hands. So, if you are interested in sewing or knitting, I highly suggest you get down to this years’ Spring Knitting and Stitching Show, which is being held at Olympia, London, 13th – 16th March. I was recently contacted by the organisers of the show and asked if I would write a little pre-show blog post about the show, just in case it had slipped under anyone’s radar. The format looks amazing! There are going to be over 200 exhibitors featured in the show, selling everything from fabrics, wools, threads and patterns to sewing machines and books, making this a one-stop, must-stop for anyone interested in sewing or knitting. Not only that, some of the UK’s leading craft authors and teachers are going to be attending and presenting demonstrations, taster sessions and workshops. And wow oh wow on some of the workshops. I really would have a hard time narrowing down which I would attend. From beginners crochet to making your own enamel buttons, to how to insert a lapped zip (yes please! ), to design and make a fascinator, to sashiko and plackets and cuffs….be still my beating heart. There really is something for everyone. Check out the flyer for full details and timetables. What an amazing opportunity to try something new for a few hours or a day or get advice on something you have always wanted to conquer. And the show is open until 7pm on the Thursday so people can even drop by after work. Finally, who’s excited about The Great British Sewing Bee, Series 2 returning to our screens next week? Here’s a sneak peek at the contestants. Excited much? Whew! That hat looks great on you, and its a fab colour! I normally go to the Spring Knitting and Stitching show and live it, but I don’t think I can make it this year. 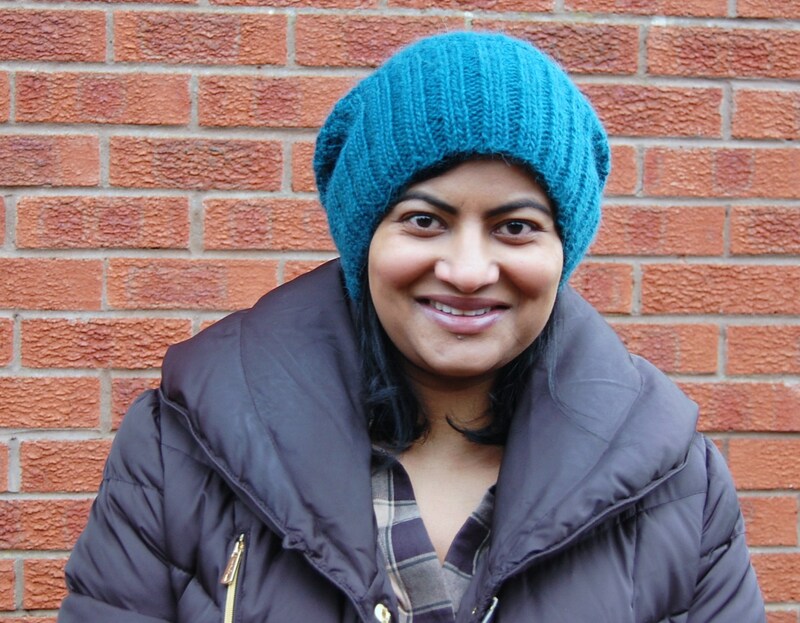 Love the hat – I’m a knitter nowadays (children mean no time out space to lay out fabric and keep the machine out!) and it looks great! Thanks mrs Alex. Yes it is definitely more portable and compact than sewing. Awesome, you did a great job! I’m so going to visit the show! Thanks for reminding – I loved the show last year! Very good first knit by the way! Wow, so impressed, I’d love to be able to make that hat! Thank you for the show info too, I didn’t know about that one. Thanks sylkotwist. If I can do it anyone can!